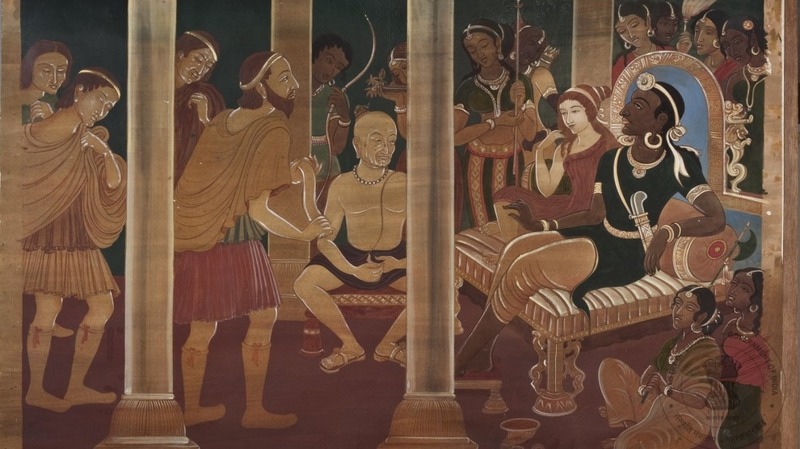 The Arthashastra’s conception of the state, with self-imposed limits, was a startling one for its times. Today, civilisation is is beneficial for a lot of people. It’s given us supermarkets, fast food, healthcare, and the Internet. Humankind has never been this educated, this peaceful, or lived this long. But civilisation hasn’t always been so pleasant for us. The life of the hunter-gatherer is much more simple and healthy than the life of the farmer, who is subject to famine and tyranny. The only major danger that a hunter-gatherer society might face is absolute, unrestricted warfare. Pakistan has failed to stop terrorists crossing its borders into Afghanistan, even as it has made progress against those who attack inside the country, the top U.S. general in the region said. “The Pakistanis have been engaged in a very tough fight against extremism inside their own country,” Army General John Nicholson, the U.S. commander in Afghanistan, told reporters Tuesday. “They did displace many of those terrorists who were fighting their own government. But at the same time, we’ve seen the ones who weren’t displaced were the Afghan Taliban” and the affiliated Haqqani network, he said. Experts say, China is most unlikely to pay heed to any objections from India and will go ahead with the construction of the 1000-km long tunnel to divert the waters of the Yarlung Tsangpo (Brahmaputra) to the arid zones of Xinjiang province. The economic, military and demographic benefits of this project for China far outweigh the costs it will incur and the censure it will earn from India and other countries. There were no North Korean missiles launched for nearly three months, until a new one went up on November 29 th . China and the United States see this as a threat, but for very different reasons. The many missiles launched and another nuclear test in 2017 have not made life better for North Koreans, or the North Korean government. South Korea was another matter. China quietly lifted, at the end of October, most of the economic punishments it had at on South Korea because the South Koreans insisted on installing an American made THAAD anti-missile system. While China is backing off, the Chinese have made a point. The temporary interruption of trade with South Korea did not hurt China as much as it did South Korea and it really had no significant impact on the economies of either country. Meanwhile North Korea is visibly suffering from the increased sanctions that took effect in 2017. China wants Kim Jong Un to deal with the problem and not become a victim of it. The Kim clan does not seem to be paying attention. This Thanksgiving, as millions of American families sat down for turkey dinner and football, a dangerous game of chicken was being played out on the far side of the Pacific. Formations of Chinese bombers flanked by fighter escorts repeatedly circled Taiwan, simulating attack operations. Meanwhile, Chinese spy planes loitered nearby, collecting intelligence needed for refining China’s invasion plan against the island democracy of 23 million people. By withholding evidence of warrantless spying, the government avoided a court challenge to controversial mass surveillance — which is now before Congress. FAZLIDDIN KURBANOV IS a barrel-chested man from Uzbekistan who came to the United States in 2009, when he was in his late 20s. A Christian who had converted from Islam, Kurbanov arrived as a refugee and spoke little English. Resettled in Boise, Idaho, he rented an apartment, worked odd jobs, and was studying to be a truck driver. It’s long past time for a new National Defense Strategy that seeks to break the mold in honesty, clarity, conciseness, and fresh thinking. Since the end of the Cold War, these documents have repeatedly served as opportunities to redefine American force structure and interests globally. Unfortunately, the most recent generation of strategies has become increasingly unmoored from the strategic reality the country faces. Since the end of the Cold War, the Pentagon’s force-sizing construct has gradually became muddled and watered down at each iteration—from the aspirational objective of fighting two wars at once to the declinist “defeat-and-deny” approach—without enough substantive debate over the wisdom of the progressive abandonment of the two-war standard. Russia Used Social Media to Weaponize American Free Will. Here’s What to Do About It. Revelations that Russia used Google, Facebook, Instagram,Pinterest, Pokemon Go and a growing list of other digital campaigns to attempt to influence America’s electoral process through targeted posts and attempted to penetrate the very systems used to administer elections call for stronger efforts to understand the vulnerabilities of our electoral institutions and systems. They call, too, for more study of the ways adversaries integrate weaponized information into their doctrine and operational planning. Government security leaders should explore potentially critical changes in the technologies that underlie those systems, and secure or replace them entirely. Research and development in this domain must include ways in which to manage the federal, state and local administration of elections throughout the United States more securely. Importantly, government agencies must remind social media companies that foreign support to specific American candidates is against federal law. This is the first in a series of posts by Brookings’s vice president for foreign policy that will highlight Brookings scholars’ new and ongoing work on “the new geopolitics.” More information on this scholarship can be found here. America’s politics are mired in dysfunction and division. Much of the focus is on economic questions, and much of the heat is generated by the culture wars; but real wars—and America’s role in them—are part of the debate too. On October 30, 2017, a delegation of 20 prominent Russian businessmen arrived in Afghanistan to negotiate with Kabul over an expansion of Russian investments in Afghanistan’s agriculture, transport, and mining sectors. These negotiations resulted in a joint pledge to substantially increase annual trade turnovers between Russia and Afghanistan, deepening Moscow’s economic links to the war-torn country. 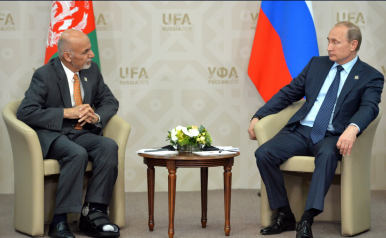 As the profitability of economic investments in Afghanistan is highly uncertain due to the country’s ongoing political instability, Russia’s commitment to stronger commercial ties with Afghanistan is intriguing. A closer examination of Russian conduct in Afghanistan reveals that Moscow’s investments in Afghan economic development initiatives and military assistance provisions to Kabul are part of a broader strategy to rebrand Russia’s image in Afghanistan. The Air Force is about to wrap up its 16-month-long study on coordinating cyber, air and space operations, providing a potential playbook for how the Air Force will edge out adversaries in the future, per C4ISRNET, a publication that tracks military information technology. Why it matters: The effort is based on the idea that the speed at which information travels — and therefore the speed of war — will dramatically increase by 2030. The Air Force needs to be able to respond more quickly to increasingly complex cyber threats, so it is trying to ramp up its ability to combine different operational systems' data in order to make decisions in real time. The net neutrality recommendations by Trai will ensure a level playing field for services providers to innovate and customize in India. A digital economy can become a reality only if telecom firms make adequate investments to augment their existing networks to cater to the explosion of data traffic, and net neutrality enables that. Timothy Wu, the Columbia University visionary who coined the term net neutrality, may not have imagined the contentious debates that would rage over the concept a decade later, especially in India. “We’ve started our next enterprise capability collaboration team, what we call as ECCT,” said Gen. Stephen Wilson, Air Force vice chief of staff at the Pentagon. Wilson said the first ECCT focused on the Air Superiority 2030 study; the second, multi-domain command and control. “The third one we’re going to focus on electronic warfare,” the general said, met by applause from the EW community during the Association of Old Crows’ annual International Symposium & Convention in Washington, D.C.
Pseudolite systems. 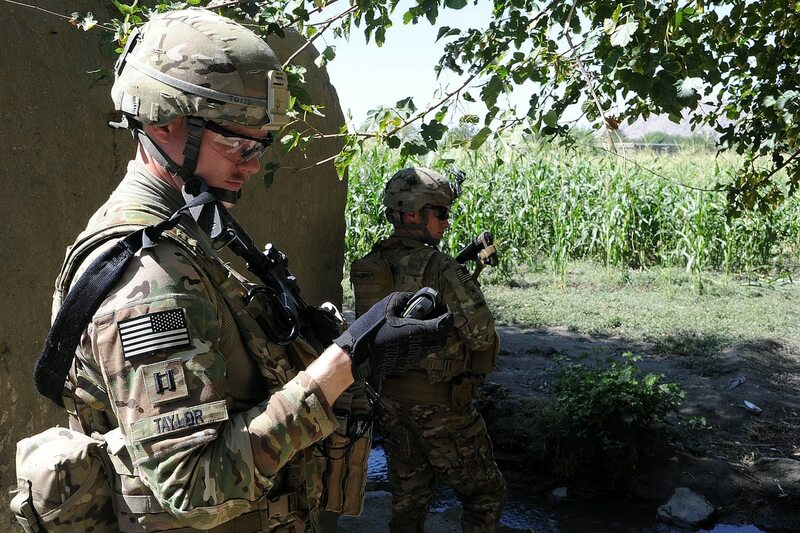 Goal: Improved situational awareness and support to mission command.